The NCADV Public Policy Office collaborates with other national organizations to promote legislation and policies that serve and protect victims and survivors of domestic violence, and we work to change the narrative surrounding domestic violence. We seek macro-level change in order to create a society in which domestic violence is never tolerated or minimized, in which victims and survivors are respected, and in which service providers have the resources to serve all victims and survivors. In turn, we rely on our members and our partners’ members to provide grassroots support, contacting their congressional delegations and making their voices heard at the local level. We also provide technical support to individuals and groups seeking information on legislation, laws, policy, studies, and other resources pertaining to domestic violence at the national level. Click here for more information. The Cosmetic & Reconstructive Support (CRS) Program™ of NCADV is the only direct service program NCADV offers to survivors. We currently work in partnership with the American Academy of Facial Plastic and Reconstructive Surgery (AAFPRS) to assist survivors of domestic violence who cannot afford the cosmetic and reconstructive surgery needed to repair injuries caused by an abusive partner to their head, face, or neck. Facial plastic surgeons from across the country volunteer their services to assist survivors in removing these physical scars of abuse. We will be expanding this program in 2015. Click here for more information. 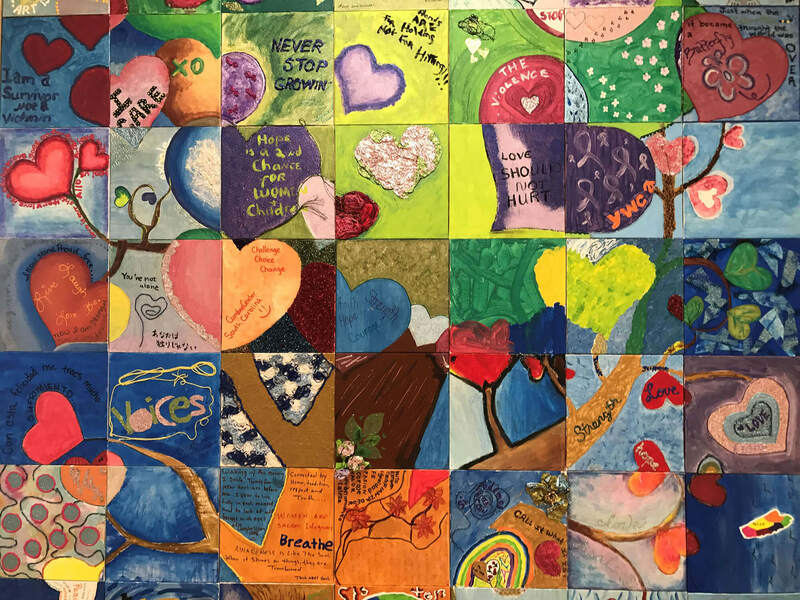 Since 1994, NCADV has been memorializing the many women, children, and men killed by abusers in the U.S. through our Remember My Name™ project. Twenty years ago, RMN™ was created by Ms. Magazine and NCADV to bring awareness to the issue of domestic violence, honor those who have lost their lives, and spotlight the all-too-common outcome of abusers' choices. Each year, we produce a memorial poster listing the names and ages of those killed by an abuser and the state in which they died. To date, we have collected over 10,000 names from all across the U.S. from family, friends, and others who want to remember and honor those they have lost. RMN™ will be expanding soon through When I was Here™, a more in-depth arm of the program aimed at personalizing the lives of each victim through memories and information shared by those that knew them. Click here for more information. Reproductive coercion is the behavior used to pressure or coerce a woman into becoming pregnant or into continuing or ending a pregnancy against her will, through the use of manipulation, intimidation, threats, and/or actual acts of violence. The Feminist Women’s Health Center (FWHC), NCADV, and the National Organization for Men Against Sexism (NOMAS) have partnered to create a free educational toolkit to help bridge the gap between the fields of reproductive health and domestic violence; two fields that work for the good of our communities from different perspectives. This toolkit provides credible, unbiased information for women and individuals working in the domestic violence and reproductive health communities about reproductive coercion and offers practical solutions designed to empower women to take control of their own reproductive health. We will be offering trainings on this topic nationally in the near future. Click here for more information. Domestic violence increases a woman's risk of HIV/AIDS and an HIV/AIDS diagnosis can increase a woman's risk of domestic violence. While both issues are prominent in communities, collaboration between agencies that serve each population does not intrinsically exist. NCADV partners with Ensync Diversified Management Systems, Inc. to provide free trainings on this issue to front-line advocates within domestic violence programs and HIV/AIDS service agencies so that they may better assist survivors of domestic violence with accessing information and resources about HIV and vice-versa. Our goal is to strengthen community collaboration, enhance services and safety planning, and create integrated client-centered services for survivors of DV and/or HIV. Click here for more information. NCADV’s Financial Education Project, Hope & Power, addresses one of the main barriers victims encounter when seeking safety and independence—financial independence. One of the most common reasons victims of domestic violence either stay with or return to an abuser is because they fear they will be unable to provide financially for themselves and or their children. In 2000, NCADV collaborated with the National Endowment for Financial Education (NEFE) to develop these financial education materials in an ongoing effort to support victims of domestic violence in their endeavors to achieve economic self-sufficiency. The Hope and Powermaterials include topics such as safety planning, budgeting, identity theft, banking, predatory lending, credit, getting a job, money management, and taxes. Click here for more information.